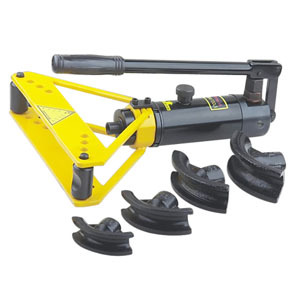 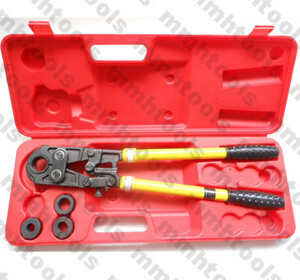 100% manual type hole punch tool, ratchet wrench sleeve tool operated, only use by hands, no need hydraulic hole punch pump. 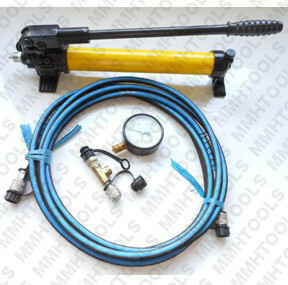 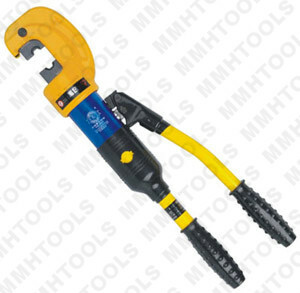 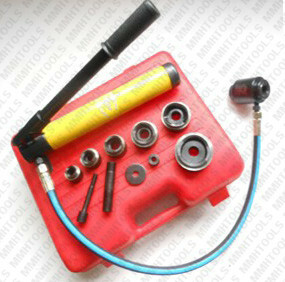 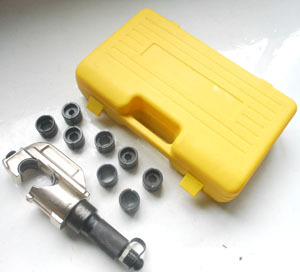 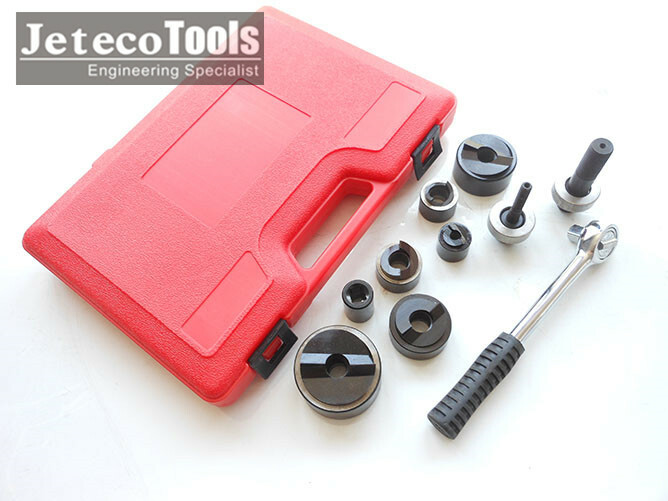 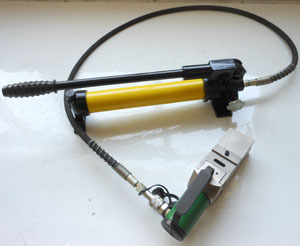 This portable stud punch tool, suitable for thick metal plate, plastic, copper, aluminum material. 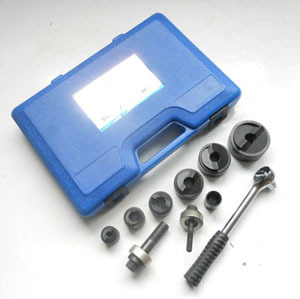 Our standard setting for six round holes, of cource you need some other sizes, is accept according by you actually need. 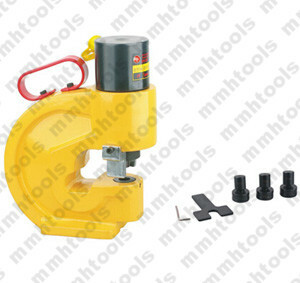 If you prefer our hydraulic hole punch tool, please view our latest catalog, thanks.